Bowie chart topper take over the internet! It has reached the point where the internet has now been absolutely inundated with David Bowie tributes of every possible imaginable kind. The most popular tributes are of course the musical ones, with stars covering his more popular hits, and amateurs filling Youtube with the same kind of thing, some of which has been produced to a really quite phenomenal standard. The past month’s updates have been rife with piano and guitar accompaniments of people (from all walks of life) singing Starman and Life on Mars?. There are even s number of homemade videos where the performer is teary eyed (and one or two where a full-on break down is witnessed) because of the impact of Bowie and the sadness of his passing. 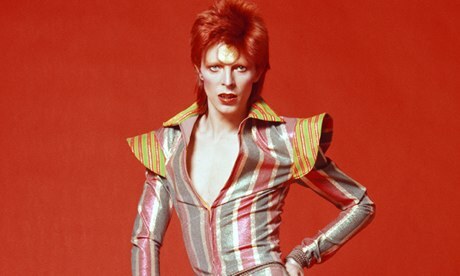 Make your own Bowie chart hit! Of course, this trend of Bowie tributes is unlikely to stop any time soon (or ever, for that matter)… so it is by no means too late to join in and pay your respects to the late Labyrinth star. Grab your guitar, or sit at your piano and get to it. Who knows, you might even be talent spotted and end up hitting the charts yourself too! Bowie sheet music is now more widely available than ever before, whether you’re looking in a local music store, or online. Grab yourself a copy of your favourite Bowie hit and pour your heart and soul into a tribute that you can then upload to Youtube and show all of your friends! If you are in need of an instrument to play your tribute on, then why not head over to Chase Direct and have a look? There is a huge range of guitars and digital pianos (as well as much, much more) to pick from. When it comes to digital pianos, portable pianos, and electronic keyboards Chase is certainly the place to go as all of the top brands are all stocked under one roof!